For all you dog lovers out there, check out Peters Park in the South End. 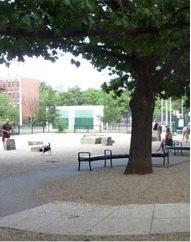 It’s one of Curbed’s nominees for Top Dog Park in the Boston area. The South End is also getting a lot of new construction, so check out the neighborhoods development projects if you plan on bringing man’s best friend with you to your new apartment!